Telenor has selected SS/Loral in June 2011 to provide the Thor 7 telecommunications satellite. 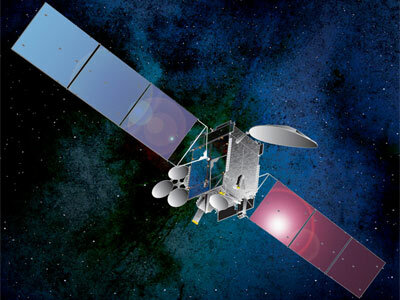 Thor 7 will be based on SS/L’s SSL-1300 series platform and fitted with two payloads.The first payload includes 11 active Ku band transponders, all of which will be used to serve growing broadcasting requirements within Central and Eastern Europe. It will also include further Ku band capability that will be utilised to provide restoration capacity for TSBc’s Thor fleet located at 1° West. The second is a Ka-band payload, fitted with spot beams covering in areas including the North Sea, Norwegian Sea, the Red Sea, the Baltic Sea, the Persian Gulf and the Mediterranean. The Ka-band payload will address the surge in demand for high bandwidth requirements from the maritime industry and will deliver a bandwidth efficient service with high bit rates. The spacecraft has a 28 month production schedule and will be built at Space Systems/Loral’s manufacturing facilities based in Palo Alto, California. Space Systems/Loral is responsible for the design, construction and test activities for Thor 7, which is expected to commence commercial service in Q1, 2014.